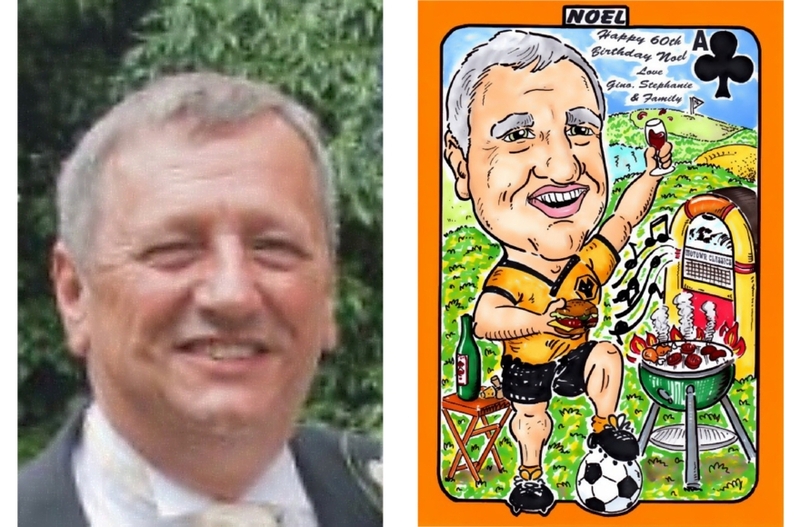 My caricatures make unique gifts for any occasion including birthdays, anniversaries, weddings, retirements and Christmas. They are all feature friendly allowing the subject to be instantly recognisable, and they come in a range of styles and prices. All I require from you is at least one photo of the subject of reasonable size and clarity (but the more the better), and a list of topics you’d like me to include. These topics can be ANYTHING but it’s best to highlight those which are most important to the victim… sorry, recipient. The best way to do this is to list them in order of priority. I supply a written brief to start with which will include an outline for the ’theme’ based on the topics sent to me and any ideas you might want to suggest. This brief should help you form an image in your minds eye before I put pen to paper saving both time and money. I then provide you with a rough pencil sketch based on the brief and e-mail it to you. At this point you can ask for any minor alterations which are free of charge. However, if the alterations requested fall outside the agreed brief and requires a complete redraw, there will be a £10 surcharge. Once the proof is approved I will then complete the final artwork which can be either collected in person or posted out free of charge. I can also frame the finished piece for a small fee (with postage extra). A digital copy is available upon request. These are perfect for presents on a budget. For just £5 per head you can choose from over 40 pre-determined themes on A4 format. These themes are used for my wedding and party bookings which are drawn for free at these events. Simply choose your theme(s) and e-mail me the photo(s) together with the code. You can even have a personal message included at no extra cost. Some themes also have space for additional information to be added e.g. Football teams and scoreline. 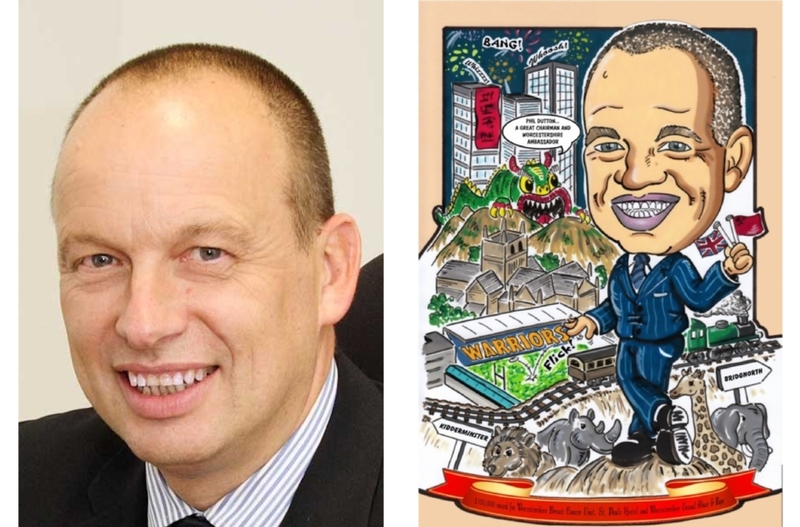 These are drawn in the same style as the themed caricatures above but with your own backdrop. 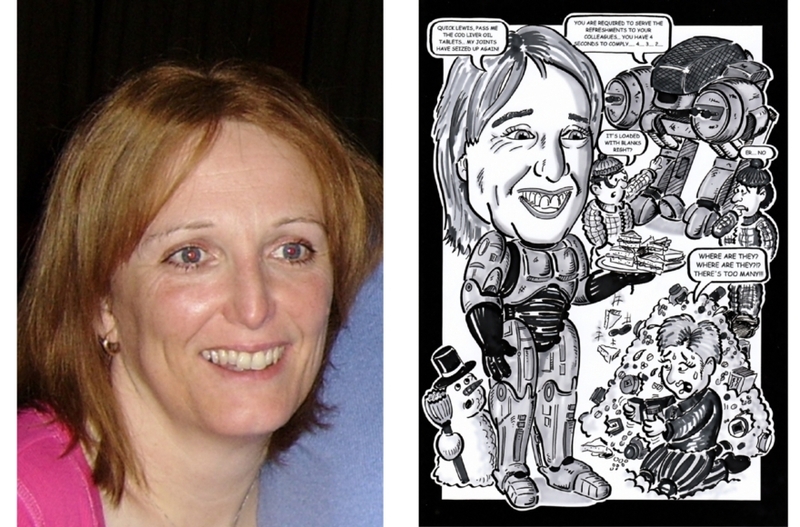 They are drawn with a Staedtler OHP marker pen and grey shaded with graphic markers. Topics can be limited due to the fact fine detail is hard to achieve, but they are still a great bargain. These are also brilliant if you’re looking for wedding favours as I can draw and charge for just one theme and use it repeatedly. A black border is included. 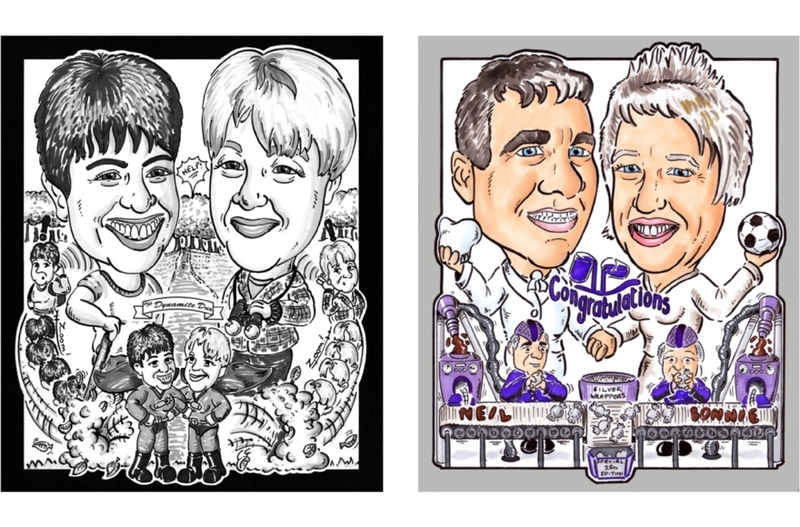 These are my top of the range caricatures which are hand painted using high quality acrylic inks to give a vibrant professional finish. I then outline them using my Rotring Artpen. You can choose any colour border to accompany the finished artwork. These are high definition drawings completed using professional Rotring Artpens. The finer nibs available to me mean I can achieve a much higher amount of detail in the drawing which increases the amount of topics in each piece of artwork. They are also shaded in greater depth using graphic markers. A black border is included. 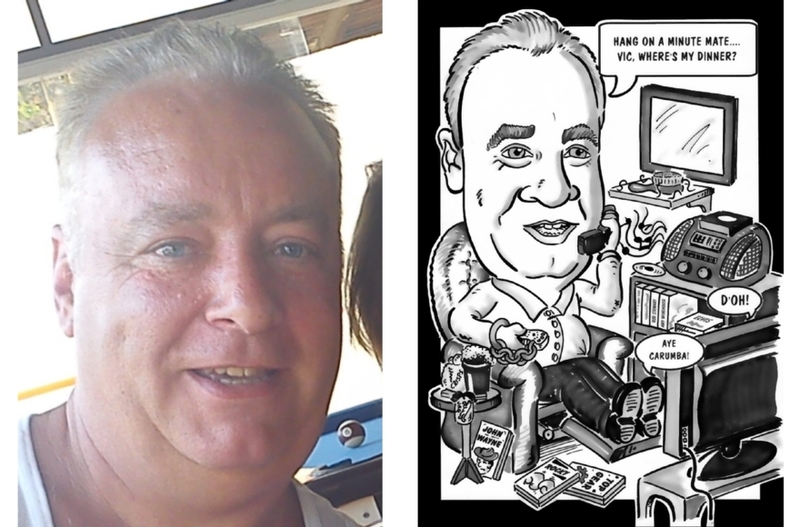 These are drawn in the same style as my Quickfire caricatures but colour is then added using my graphic markers. In some cases I may opt to outline them using my Artpen if the detail within the drawing warrants a greater attention to detail. You can have any colour border with these drawings. These are very popular for 2 people who might be getting married, engaged or just best buds! You can choose from any of the styles above and each one is drawn onto a 12” X 10” format to give me extra width for the two heads. 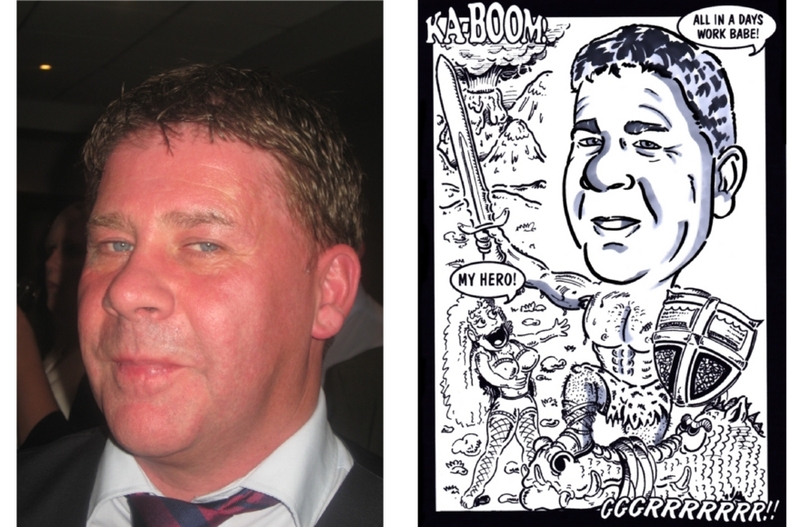 As background space is very limited I include a humorous cartoon along the bottom which is usually based on a story or theme connecting the 2 individuals. 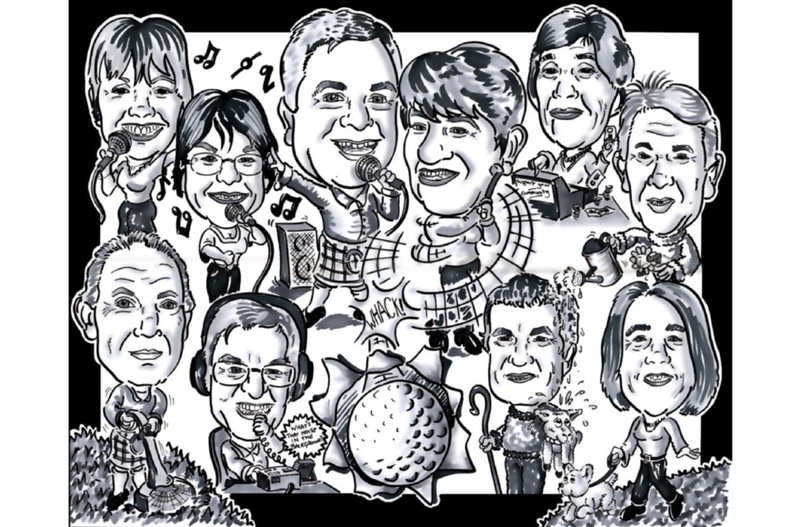 If you need a large format drawing for friends, family or colleagues then these are ideal. They are drawn on any format and can include any number of people. I charge ‘per head’ for these and base the cost on your chosen style so the total fee is easy to split if you have a number of people chipping in.